If you ask the experts at A-1 Heat and Air Conditioning, the simplest answer that we can give is YES. Spring is the best season to prepare your home for the heat wave, you can also enjoy a lot of great benefits. Don’t wait until the summer season starts before you purchase and install a new system. Get a new unit in spring where there’s a wide availability of products that you can choose from and great deals that you can enjoy. Air conditioning units are great investments so you need to make sure that you make the correct choice. If you are planning to buy a new A/C, you should start searching as early as the spring season. This will give you time to identify your choices and features, consider some recommendations until you find the right unit for your home. Summer is a busy season for HVAC technicians so when you want to install a unit, you need to give us a call, we are available to assist you. You are also guaranteed that the service is done properly when you contact A-1 Heat and Air Conditioning. Your air conditioning unit can save you from being hot in the summer season. If you think your system has reached its retirement age, you need to install a new one in the spring as preparation for the summer heat wave. Running your old-unit will only increase your energy bill and won’t give you peace of mind. Installing a new A/C may be costly upfront, but you will enjoy all the benefits in comfort and savings in the days to come. HVAC installation is not an easy task. 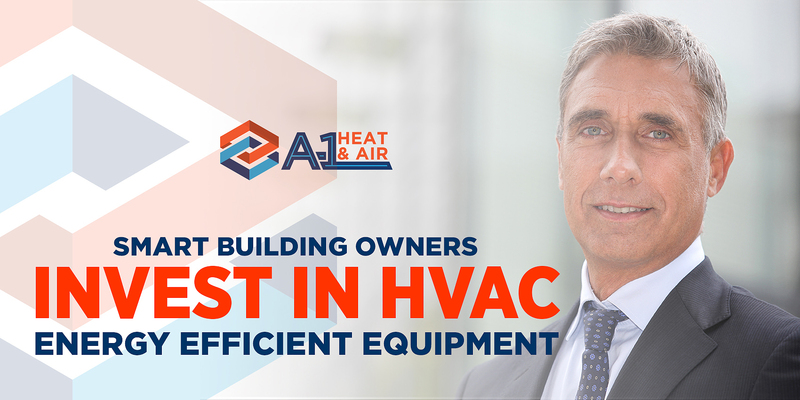 If you need professional help, from purchasing to installing your unit, look no further than our team at A-1 Heat and Air Conditioning. Give us a call and we will take it from there! There is more to pet care than just cuddling and giving them food; you also need to make sure they are cleaned and groomed well. Pet hair and dander can easily cover the filters and clog the air ducts, thus restricting the airflow. Nip this problem to the bud by bringing your furry friend to the groomer every now and then. Do not wait until the filter is caked with dust, pet hair, dander, and other particles before realizing the need for a filter replacement. 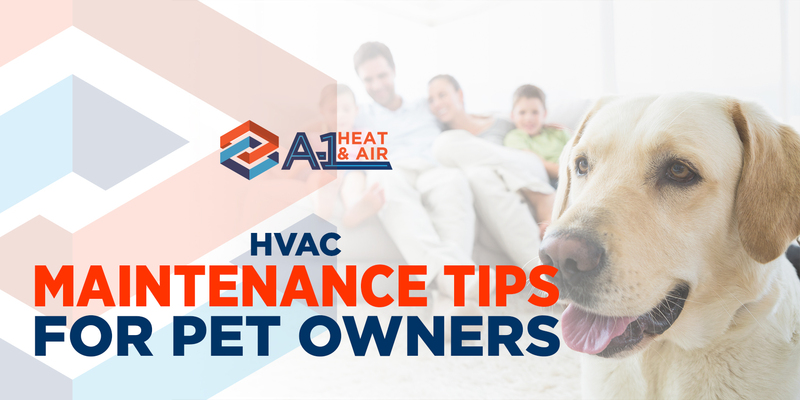 If you are living with your pets, you need to be vigilant in cleaning your HVAC filters. If possible, upgrade to that equipment with a higher MERV rating. They can filter airborne allergens and pollutants including pet discharge. Condensers are located outside, but pets can find their way to it and damage the fins. Dogs may urinate on it which can cause future problems. Put a barrier or fence around it to prevent these animals from disturbing its normal operation. Exposed wires are a threat to one’s safety. Even without pets at home, you need to make sure they are well-placed and hidden. Cats and dogs are playful animals, and they may find these wires a good playmate and pretty great to chew. If that happens, you will be faced with great danger in your safety and that of your units. If you suspect duct leaks, call the pro for complete sealing service. These holes can pull pet dander, hair, and other particles into your home. Be sure to schedule a regular duct cleaning schedule and fix holes and leaks immediately. Professional HVAC maintenance is crucial to the longevity and efficiency of your unit. By cleaning the parts, you can get rid of the allergens that your pets bring. You can also keep the efficiency of your unit all year-round. It is not bad to have pets at home. You only need an extra sense of responsibility. We hope these tips help. If you have further queries or need expert HVAC services, feel free to call us at A-1 Heat & Air. These are considered the most basic type of thermostat. They must be manually customized to meet the comfort demands of your home. Physical tuning and set up is also required to shift the setting from heating to cooling and for turning the device on and off. 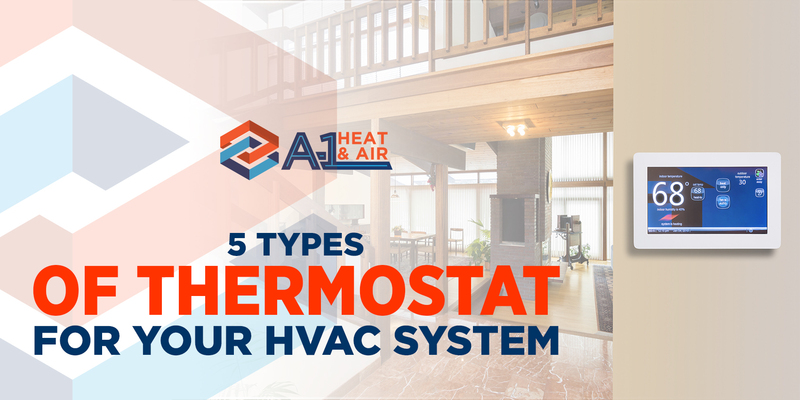 Termed as traditional controls, mechanical thermostats are obviously less expensive, and many still opt for these devices even in today’s time. A non programmable thermostat has a big similarity with a mechanical thermostat since they are both manually operated and with lesser cost as compared to modern types. The only difference is, digital thermostats offer a digital display of the setting instead of a mechanical meter or dial. The digital display makes it easier for you to read the settings and control your HVAC system more accurately. If you do not like the idea of pressing the thermostat every time you want to manipulate the setting, a programmable thermostat will work best for you. It has an automatic scheduling interface where you can set different temperature schedules throughout the week. The thermostat will automatically shift setting based on your schedule, so you do not need to the adjustment by hand. Smart thermostats have a lot of similar features as programmable thermostats. When it comes to automatic adjustment, however, you do not need to set an advanced schedule with a smart thermostat. Its self-learning feature will take note of your daily routine and program itself to match your schedule and preferences. Wireless thermostats offer easy access to your devices from anywhere and anytime. There are wireless digital, programmable and smart thermostats which you can control through your mobile phones and tablets. If you want more savings this year, a wireless thermostat will be a big help since you can shift the settings easily and save energy. Are you planning to upgrade your thermostat at home? Talk to our experts at A-1 Heat and Air Conditioning for reliable recommendations. We can give you a full range of state-of-the-art HVAC options for your optimum comfort and savings. Call us anytime at your convenience. Our technicians are always available to help you. Do you know that a large percentage of your business’ expenses goes to the heating and cooling needs of your building? Sadly, almost 30% of the energy used is wasted due to inefficient building designs and low-quality HVAC units. If you are a business owner who doesn’t know how to curb your energy consumption and turn a portion of the cost to profit, we have a suggestion for you. Upgrade your HVAC system! Why Should You Upgrade to Energy Efficient HVAC? The bad news is, HVAC upgrades come with a great investment. The upfront cost can be truly disturbing. But the good news is a lot of benefits are waiting for you in the coming years. Let us mention three of the most important paybacks that you may experience. Indoor air quality has a great impact on your employees’ well-being and productivity. You should make sure that your building is safe for them to stay or else, you will be faced with lots of leave forms to sign due to health issues. Upgrading to a more efficient ventilation system, shifting to more proficient commercial units, and investing in professional and regular maintenance services can ensure that your building contributes to the productivity of your people. An HVAC efficiency upgrade is a great investment which you will never regret in the years to come. According to the National Institute of Building Sciences, in just 3-5 years, the payback becomes evident, and your equipment will soon pay for itself. HVAC efficiency upgrades can give you a 30% reduction on your annual energy costs or more. The benefits in savings and comfort are quick, and they continue over the life of the system. Energy efficiency is a win-win scenario between your business and the environment which by far in most need of your attention. While your business gains profit out of the saved energy, the environment feels happy for your contribution to reducing your building’s operational impact on the environment. Our experts at A-1 Heat and Air Conditioning suggests no better time for a commercial HVAC upgrade than today. Set your goals, do your homework, and when you’ve come up with a plan, talk to our professionals and we’ll get this mission started. Schedule an appointment now! Do fall allergies prevent you from enjoying the good weather outside your home? 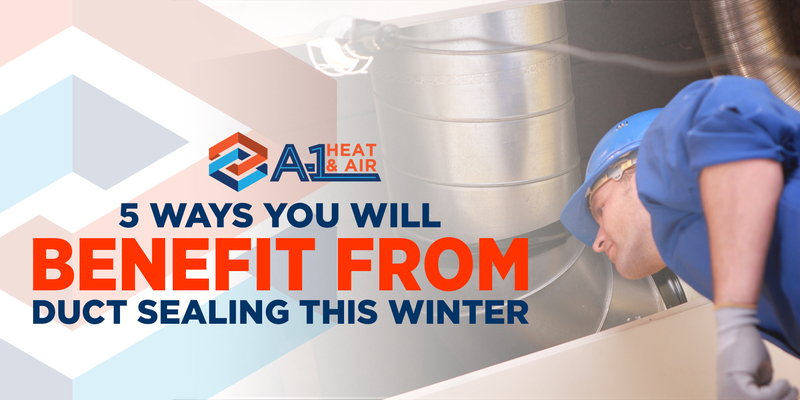 Stop hiding in your room and enjoy the season with these helpful tips from the experts at A-1 Heat and Air Conditioning. One way to reduce exposure to allergens is by checking the pollen level in your area. If it’s high, limit outdoor activities and stay at home. The pollen count is at the peak in the morning and late afternoon. Be extra cautious of these periods and choose to stay indoors. If you have important tasks to do outside, be sure to use protective clothing. It’s best to wear long sleeves, pants, hats, and even protective face masks. This will keep pollen and molds out of your skin, hair, and eyes. After spending some time outside, be sure to remove pollens from your hair and body by taking a short bath. Tell everyone to remove their shoes when entering the house and if possible, change clothes inside the front doorway. Your clothes and shoes are great carriers of allergy-causing particles from the outside. Drying clothes outside is a good thing but not in the allergy seasons like fall. Your laundry is a pollen magnet especially when wet, and these pollens may end up in your home and bring you discomfort. Do you know that dust and molds thrive in a dry indoor environment? Unfortunately, dry air is prevalent in the cold seasons of fall and winter. Good thing, a humidifier can be a solution to reduce the chances of dust and mold sensitivity. By adding moisture in the air, these devices are giving you an indoor environment that is less conducive for allergy-causing particles such as mold and dust. Let these tips help you deal with fall allergies and even prevent it from ruining your fall season. While the other tips are more like personal tasks, tip #5 might need professional help. With that, we can assist. If you want to install a humidifier in your home, talk to our experts, and we’ll discuss your options. Give us a call at A-1 Heat and Air Conditioning today! Are you looking for a supplementary heating device to keep your home warm when the Jack Frost comes rolling in? There’s no doubt about the services rendered by space heaters. But take note, these devices also hold a bad reputation as a fire hazard. If you have space heaters at home, here are some safety tips that should keep in mind. Be sure that your space heater is listed by a recognized testing laboratory. This will assure you that the device is ready and safe to use. Before using the space heater, read and understand the manufacturer’s information. It provides helpful information about the safe usage and care of the device. Space heaters should be placed in areas with proper clearances. You should keep rugs, bedding, window treatment, furniture, and other combustibles at least three feet away from the device. If these items come in contact with the space heater’s hot surface, they can cause a risk of fire. 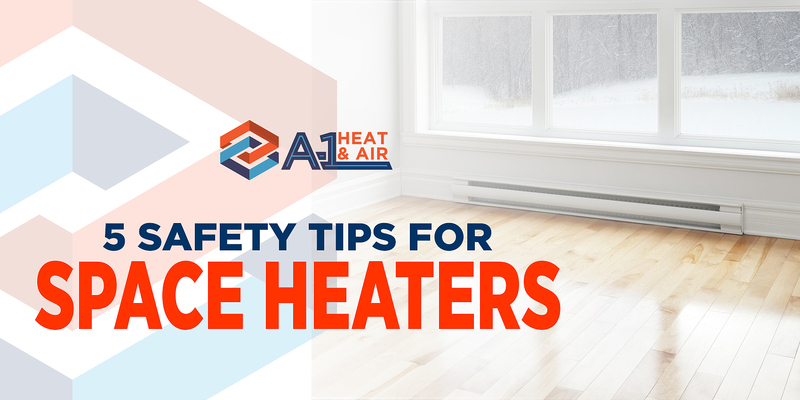 Additionally, place your heaters on a hard, leveled surface to ensure safety. Plugging space heaters in extension cords increases the risk of fire, overheating and electrical shocks. If you are going to use an extension cord for the device, be sure to choose which is properly rated and sized to deliver sufficient power capacity. Never leave appliances plugged in, especially the space heater in your home. This is often the cause of a fire. If you are ready to sleep or heading to work, simply turn the device off and unplug for safety purposes. Regardless if it’s new or old, you need to provide proper maintenance and inspection of your space heaters. Dust and allergens may disperse around your unit. Regular cleaning will remove the dirt and ensure the safe operation of your device. If you found out that you have a defective space heater, do not attempt to use it because you are putting your safety in jeopardy. It is always important to be informed about the safety measures in using space heaters. If you have other questions, please talk to our experts at A-1 Heat and Air Conditioning. We are always here to help you in keeping your comfort and safety. Contact us today! Should you humidify when the fall and winter seasons arrive? Of course! Aside from the temperature, humidity is also a great factor in achieving optimum comfort in your home. Many illnesses are associated with dry air, and you or other members of your family would not want to experience any of them. Humidifiers prevent the spread of airborne viruses. Airborne viruses and germs are pronounced during the cold weather because of the dry indoor air. To prevent the spread of these microorganisms, you need to keep your indoor humidity at the right level (raise it to at least 43%). This is when humidifiers are a great help. By adding moisture in the air, viruses and germs become virtually ineffective, thus lowering the risk of illnesses inside your home. Are you breathing through your mouth when sleeping? Then you are more prone to snoring due to dry air that settles in your throat. A humidifier helps in keeping your throat moist and soothes the tissues at the back of your throat. It prevents you from snoring and helps you sleep comfortably. Humidifiers are great help in keeping an indoor atmosphere that is unfavorable for allergy-causing microorganisms. 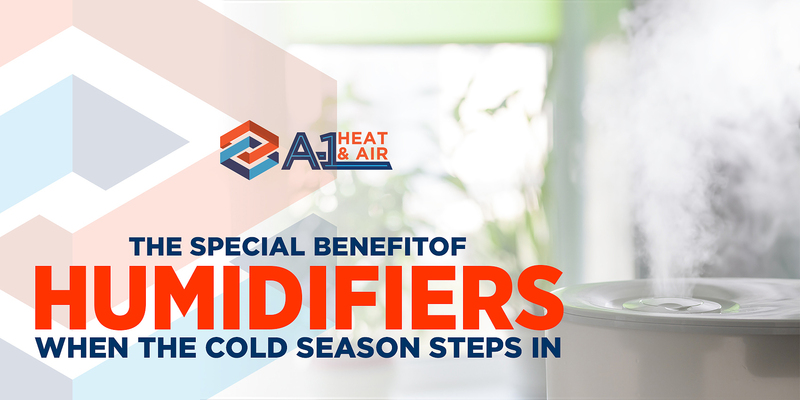 That is why if you have family members who are experiencing dry-sinuses and are prone to allergic reactions and asthma, a humidifier can relieve you of these issues. Static electricity is prevalent in the cold months, and it can be really frustrating. It can create sparks and damage electrical appliances. By keeping a proper humidity level in your home, you can reduce and even prevent the occurrence of static electricity. Humidifiers help you feel warmer. Studies show that moisture can give you additional comfort and warmth. The water in the air allows your sweat to evaporate slowly, giving you a warmer feeling, so you do not have to rely too much on your heating devices. Protect the things you love and those you own by installing a humidifier this cold season. Our experts at A-1 Heat and Air Conditioning can help you choose the best type of humidifier for your home. Call us for assistance!